If you have carpet, you know how quickly it can become soiled, especially if you have kids who like to run in and out all the time. Being required to pull the vacuum out to clean up a path of mud from the front door to the bathroom can be tedious, but having a robot vacuum take care of the mess can make cleaning up a task that you almost forget about. These robot vacuums have been on the market for a while now, but if you never used one, knowing which ones are the best can be difficult. We have taken the time to review four different robots; three are vacuums that are exceptional picks and the last is more of a budgetary option. We have also included a list of pre-purchase considerations to help you choose your new robot vacuum. 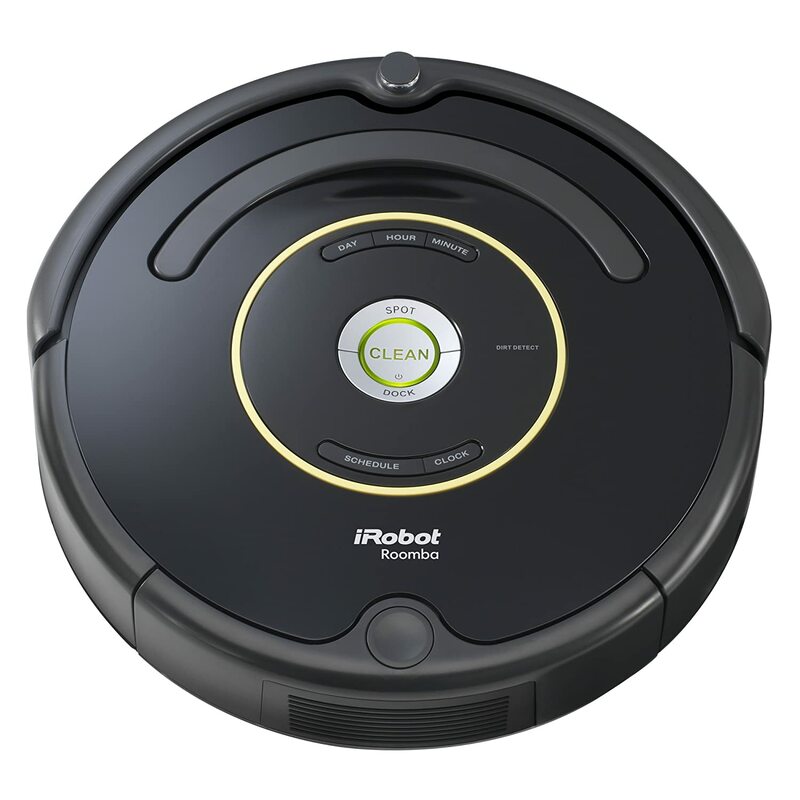 Our gold pick, which is iRobot’s Roomba 980, is one of the best robot vacuums available. iRobot came into existence in 1990 when a team of MIT roboticists revolutionized our cleaning methods. More than 14 million home cleaning robots have been sold across the nation, and our gold pick happens to be one of the robots leading this revolution. I, for one, welcome our new robot cleaning overlords. The Roomba 980 is a relatively small unit that only has a diameter of about 13.8 inches and a height of 3.6 inches, which means that it can easily fit through tight spaces and under tables and chairs without the worry of getting stuck halfway through. It is also a very lightweight device, which means that you will not have any difficulty repositioning it if the need arises. On the top of the unit, you will see three buttons. The middle one is a bit larger, and is designed to inform the little guy when it is time to clean the floor. Press this button once to awaken the device from its slumber. Once the robot is awake, it will sing a little jingle to let you know that it is ready to clean. At that point you can either press clean again to start a full floor cleaning, or you can select one of the other buttons. One of the buttons is designed to spot-clean an area that may need extra attention, and the other button is to send the robot vacuum home to its charging station to power up for another cleaning mission. There are also LED indicators located on the device. This will inform you of your current Wi-Fi connection status. It will let you know when the Roomba 980 is charging, when it has a full debris bin, and when a dirt spot is detected that is heavier than normal. A visual indicator as well as a verbal one will let you know if there are any issues that need to be addressed with the device. The voice indicator will give you an error number that will help you detect and fix the issue. This unit does not come with a remote, so all of the other advanced options that you need to control can be done through the iRobot Home App, which has three main sections that you can use. The first is a cleaning preference area where you can adjust the suction power of the unit. The device uses an AeroForce cleaning system that can enable a carpet boost mode that will increase the cleaning power of the Roomba 980 by ten times. The second area that you will have access to is the weekly scheduling area. Here you will be able to schedule up to seven different times for the robot vacuum to clean the floor of your home each week. The final area is entitled: more, which is basically the place where you would update the app and check to see if maintenance needs to be done on the device. In addition to the traditional bumper sensors that are used in robot vacuums like this one, you will see a new navigation system in the Roomba 980. This system is called the VSLAM, which is short for visual simultaneous localization and mapping technique. With this system there is less bumping around in favor of a more organized cleaning route, which will help to get your living space cleaned at a faster rate of time. 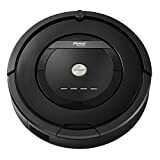 The Roomba 980 features two 6.2 inch rotating brushes to keep the carpet clean as well as a side brush feature designed to get into all the tight corners as it passes by. This unit changed the battery requirements from previous models; now it requires four lithium ion batteries. These batteries are better equipped to provide the unit with a longer life; in fact, a single charge should allow the Roomba980 to run for two hours straight without interruption. The dust bin does not utilize bags, so the bin can easily be removed and dumped when it is full. It also comes with two virtual walls that are designed to keep the device in the area that you want it to clean. These wall units require two AA batteries to run. The purchase of this robot vacuum comes with a 12 month warranty, which will cover the cost of the parts if any malfunctions occur. Our bronze selection is another quality product that is manufactured from iRobot. The Roomba 880 is actually the previous model of our gold pick, but it is still a high quality device that will help to lessen your cleaning load. It features a compact design that is only about 13.9 inches in diameter and 3.6 inches high, which means that it can easily clean the area under the sofa or bed that is difficult to reach with a push vacuum. It is also a very lightweight model; weighing in at only about 8.4 pounds. It is extremely easy to carry from location to location, and that chore is made simpler if you make use of the carry handle on the unit. 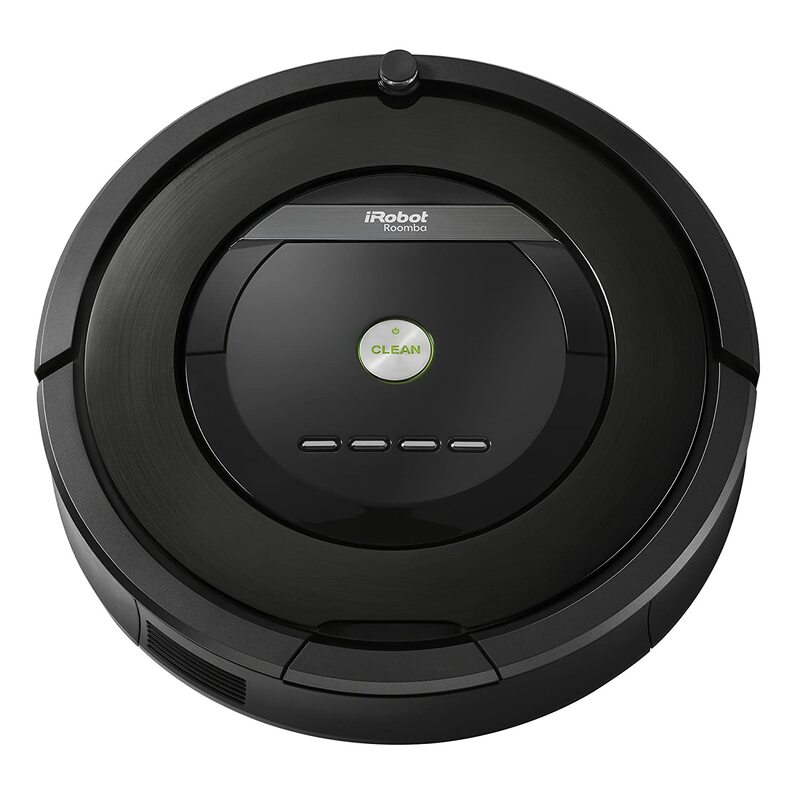 The Roomba 880 features a sleek looking black design that is designed to clean both bare floors and carpeted areas with ease. It is also very effective at removing cat or dog hair that may have accumulated in the carpet. It features an AeroForce cleaning system that is designed to clean the floor in three stages, which involve agitation, brushing, and suction. The bristle-free extractors are designed to speed up the airflow that is going through the device and increase the suction and the overall performance in the process. This method effectively cleans the floor five times more effectively than previous models. In addition to this cleaning process, there is also a spinning side brush that can clean hard to reach areas near chair legs and in corners. The top display of the device has a digital clock and four buttons, which control the docking, the clock, scheduling, and spot cleaning. Any time that the device is sent back to the docking station, it will start charging to replenish the battery. Scheduling can be a huge convenience, as you can pre-set the device to clean a certain area of the home up to seven times a week. Spot cleaning mode requires that you place the unit near the spot that needs cleaned, and it will rotate three feet from that spot as it cleans the area. There are also LED indicators to let you know when something needs to be tended to on the device. An amber light means that the battery of the device is getting low, so it should be charged soon. A red light indicates that the battery is dead and a green light means that the battery is fully charged. There is also a troubleshooting indicator to inform you that there is an issue with the device and an anti-tangle light to let you know that the brushes are not rotating as they should. In addition, there is also a light to let you know when the dust bin is full. The iAdapt navigation system makes it possible for the unit to clean up to three rooms at once. The virtual walls can be set up to inform your robot vacuum which rooms you want it to clean and which rooms are off limits. The virtual walls require four C batteries, which are included with the packaging. The device functions on a three wheeled system, which gives it a good bit of stability when it is cleaning a tight area. The front wheel is also able to be removed, which is extremely useful in the event that a string of piece of cloth gets tangled in the wheel. There is also a remote included with this unit, two AA batteries to use it, and an extra filter. The arrows on the remote can be used to manually navigate the unit if you desire to have control over the device. This unit also features an iRobot XLife battery, which is designed to give you twice the battery life as previous models. In addition, the Roomba 880 comes with a one year warranty to cover the parts and labor of any malfunctions that occur during the first 12 months of ownership. 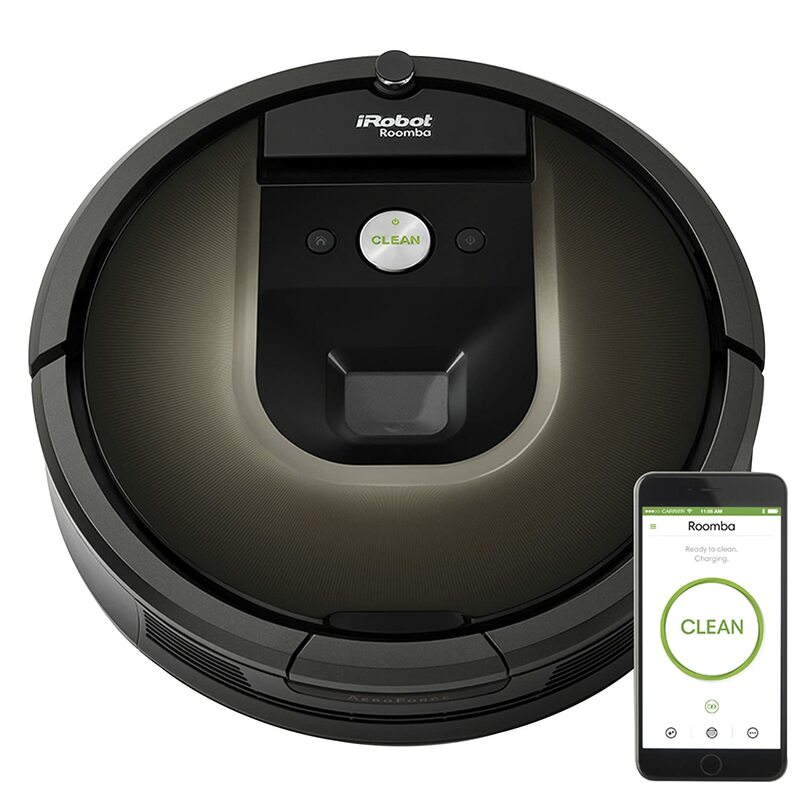 Once again with our bronze pick, you will see the name iRobot, which shows that they strive to make quality robotic devices that are loved by both consumers and critics alike. The Roomba 650 is a slightly older model than our gold and silver picks, but it is almost just as strong of a purchase. In has a diameter of about 13.4 inches , and it is 3.6 inches tall, which means that it can easily maneuver around and under your furniture. It also only weighs 12 pounds, which is a bit heavier that some of our other picks, but it is still light enough to carry from room to room and reposition it as needed. Starting with aesthetics, you will notice that this little robot has a sleek look. The top display is created to make controlling this device a simple one-touch process that is not intimidating to use. The clean button simply needs to be pressed for the device to start cleaning the floors. There is also a button that can be used to set the digital clock that is located on the device as well as a spot cleaning button to let the device know that a specific area needs more attention than the rest of the room. You can also schedule the unit to clean a room whenever you want it to in advance; in fact, you can schedule up to seven separate cleanings each week. In addition, there is a docking button that can be used to send the unit back to the charging station to recharge the battery. This unit has LED indicators on the top to let you know the condition and the current state of the battery. If the light is green, the battery is fully charged. A yellow light indicates that the battery level is decreasing and it will need to be charged soon. A red light indicates that you missed the yellow charging indicator and that the batteries are now completely dead, which may take a little while to recharge them fully. The Roomba 650 is designed with a three stage cleaning system that is designed to effectively clean both carpeted surfaces and bare floors. It cleans the area so effectively that it picks up dust, debris, and dander that other vacuums may have left behind. The three step cleaning system focuses on agitating and brushing the debris to loosen it from the floor, and then a strong suction will remove the dirt as the device circles and cleans over the same spot until the area is completely clean. The suction of this device is actually said to be one of the best for removing pet hair from a carpeted area. The iAdapt navigation system allows you to set up the virtual wall that is included in the packaging to clean multiple rooms are once. The tower can also let the device know what areas have restricted access. The unit has spinning side brushes that are designed to get all of the hard to reach locations. This unit also comes with a brush cleaning kit that can help untangle strings and other things from the brush. It has an AeroVac system that is designed to block allergens from the air as well as a cliff sensor to keep this little guy from falling down the stairs. The Roomba 650 is designed to auto adjust when it transitions to a different type of floor, which means that it is extremely effective at cleaning linoleum, tile, hardwood, and carpeted floors. This unit has a larger dust bin than previous models, so it does not need to be cleaned as often. One feature of this model that is convenient if you have a low battery, is the fact that you can plug it in to finish up the job. The Roomba 650 comes with a one year warranty that covers the robot itself as well as a six month warranty that covers the battery of the unit. Everyone wants to have a clean house, but sometimes we just do not have enough time in a day to actually pick up a vacuum and do the chore ourselves. This is when our little robotic friend can come into play and offer you assistance, but what if you don’t have the extra cash to spend over $800 on our gold pick? Our final pick, is a budget friendly option that will give you the assistance you desire at a much lower cost. 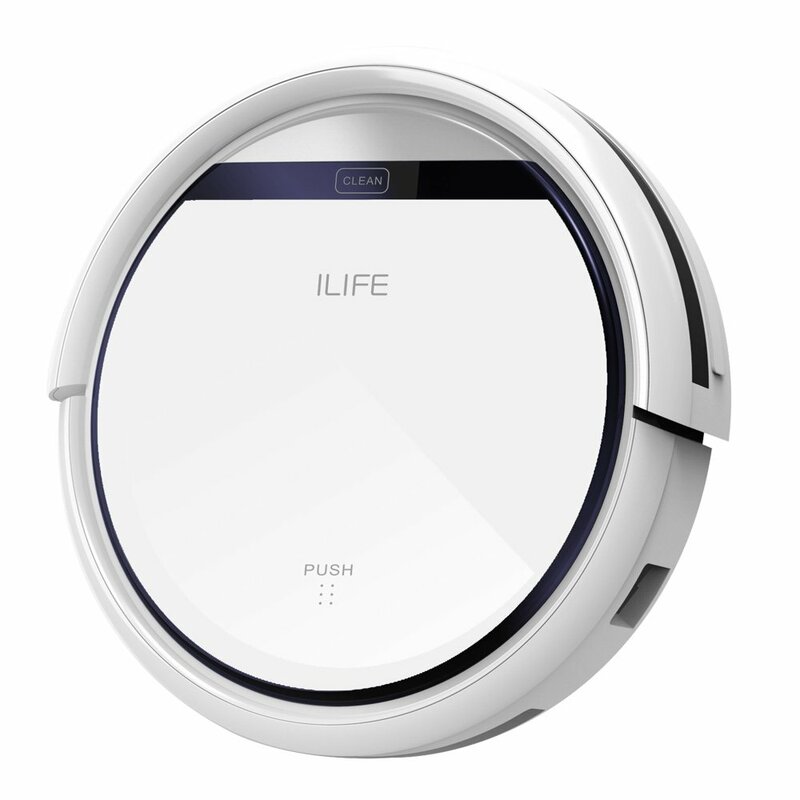 The ILIFE V3 is a great device that can clean your home just as effectively as the other selections on our list. The model is much smaller than other products on this list. It has a diameter of only 11.8 inches and a height of a mere three inches. In addition, this unit only weighs 4.5 pounds, which makes it the lightest one that we have reviewed. This extremely compact design allows the device to easily fit under any type of furniture that you have in your home. It is designed to clean multiple rooms in one session, as it can run for 100 minutes on a single charge. The V3 is a device that has 14 different sensors around the base of the unit to help determine where it should clean. This ensures that the device will not constantly be bumping into walls and furniture as it cleans the area, and it will also prevent the unit from falling down the stairs. Aesthetically speaking, this device is quite lovely. It features a pearl white exterior that s not encumbered by a plethora of buttons. The only button that you will see on the top of the unit is a clean button, which will start the device. All of the other more advanced functions can be completed on the remote that comes with the device. Insofar as cleaning modes, there are four of them; auto, spot, edge, and scheduled. You can set the unit to clean using whichever mode is more suited to your cleaning needs. There are also two side brushes that pull in dirt from the corners and other hard to reach areas. Once you vacuum the floor, you can then attach the mop cloth to wash the area as well. When the battery becomes low, send the unit back to the dock so that it can automatically charge for later. To make maintenance more convenient, there is an included extra HEPA filter as well as an extra side brush. This unit comes with a 12 month warranty that will cover the cost of any parts and labor that needs to be addressed during that period of time. Not all robot vacuums are created equally. Some are more powerful than others, which means that the suction is stronger on those devices. This can be great if you have a plush carpet, but does having more suction mean that you need a noisier vacuum? Of course not, you just need to do some research to find one that is quiet enough for your needs. You should shoot to purchase a robot vacuum that has at least 30 watts of power. The brushes that are inside the vacuum will work with the suction power to pull any dust, debris, or hair from your carpet. In addition, some vacuums feature side brushes to ensure that the corners of the rooms get cleaned as well. If you have a pet that tends to shed a lot, then you will definitely want to take advantage of a robot vacuum that has large rotating brushes to pick up the cat or dog fur as well as a large bin to collect it in. 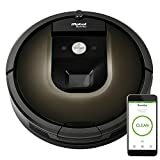 Getting your floor clean is the most important duty of a robot vacuum, but how exactly does it know where to clean and how much cleaning needs to be done. There are two types of systems that you can select from. The first is a navigation system that uses acoustic and optical sensors to find areas of the room that are dirty. This method may skip over areas that are only slightly dirty, but it will thoroughly clean a dirty area. The other method uses laser sensors that make a map for the device to follow and thoroughly clean the entire area. Each method has positive and negative aspects, so it is up to you to decide which will be more appropriate for your home. There are areas of your home that you may not want the robot vacuum to enter. Make sure that the device you purchase has sensors to keep the unit from falling down stairs or entering into a small closet. Most robot vacuums work great on bare floors as well as a carpeted area, but make sure it will transition between the two well. If a transition is not an option, you may need to clean one room at a time of have two different robot vacuums. Will your robot vacuum simply travel across the floor in a specific pattern that will hit all of the surface area or do you wish to have a more intelligent device that will be able to tell exactly where the floor needs to be cleaned. The corners of your carpet will not get dirty at the same rate as the main traffic area, so in most situations, a spot detector is important. Also, make sure that the dust bin is large enough to collect everything that may be picked up. Having a full dust bin will decrease the suction of the device, which will give it a less than optimal performance. You will also want a dust bin that does not require any bags, as this will make cleaning the vacuum much more convenient. Cleaning the robot vacuum does not involve a lot of work. If you select a vacuum that is easy to empty, the rest is simply wiping down the exterior with a damp cloth. If you fail to empty out the dust bins regularly, then you may find that the debris you are cleaning will start to back up and clog the filter or the brushes. Also, be sure to check the brushes for string that may become tangled, which is a hazard that could cause damage to the brush as it turns. The filter will also need to be cleaned on a regular basis, and cleaned when it becomes too caked with dust and debris. You want the battery of your new robot vacuum to last as long as possible. This longevity will ensure that the room is fully cleaned before your batteries become low. Many of the robot vacuums that you can purchase today come with the ability to return to the charging station when the battery level hits a certain point. This is an easy way to have a clean room at all times. Even if the batteries die during the cleaning session, the unit can simply recharge and continue the project at a later time. Another feature that you want to make sure to consider is having a warranty. This will ensure that you do not need to purchase another expensive robot vacuum because a part goes haywire right after you purchase it. The length of the warranty will depend on the manufacturer, but having some coverage is always better than having none at all. • Remote – Being able to control your new device from across the room can be a nice feature that will prevent you from bending over to change the settings on the robot vacuum itself. Not all units come with a remote, so make sure to verify that the one you are purchasing does. • Self Charging Base – This means that the unit can clean and recharge on its own. The less you need to interfere with the robots processing the more convenient it will be for you. • Virtual Wall – This is a function that comes with most robot vacuums. It will create a border at the edge of a room where the vacuum will not be able to pass. • Scheduler – This feature allows you to set the vacuum to run at certain times of the day. You can set it to vacuum up to seven times a week if you want, but many people prefer to set it to run while they are away from home, so that the vacuum has free range over the area that needs to be cleaned. It also ensures that you will not trip and fall over the device while it is cleaning the floor. Setting the scheduler to vacuum about three times a week while you are at work is usually sufficient. Robots are the wave of the future. They can help make our lives easier by doing time consuming chores that we quite often do not want to do. Vacuuming is one of those chores, and as long as our little robots follow the three laws of robotics, most of us are more than happy to have the help. Take a look at our pre-purchase considerations to help you decide what you want in a robot vacuum, and then consider our top picks. If they are not perfect for your home, then do some research to find a unit that fits the needs of your living space. Soon your floors will be cleaned without much help from you, and you will have the time to enjoy your evenings with your family instead of constantly cleaning up.